University of Malaya (UM)'s Associate Professor Dr Chan from Biomedical Sciences field received a 2015 L’Oréal-UNESCO for Women in Science fellowship for developing therapeutic peptides that target enterovirus A71 in hand, foot and mouth disease. For parents across the world, a child complaining of a sore throat may immediately give rise to worries of hand, foot and mouth disease - a mild, contagious viral disease that causes painful blisters in the throat, gums, cheeks, soles of the feet, and palms of the hands. 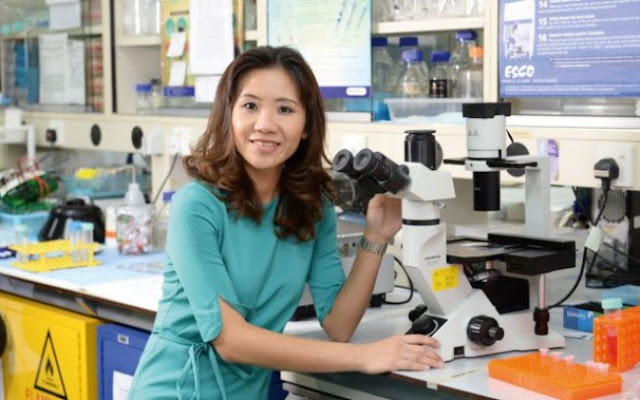 Hoping to find a solution to this ubiquitous disease is infectious disease expert Associate Professor Chan Yoke-Fun, who studies how enterovirus 71 causes hand, foot and mouth disease in children. Read her official CV at UM website.